A co-worker of mines happen to leave me a surprise in my office one day. The surprise happened to be a calendar of little quotes to brighten my day. 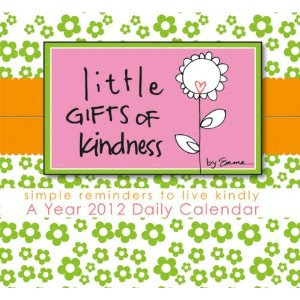 Little Gifts of Kindness: 365 Daily Thoughts and Kind Ideas for 2012 by Emma. I have been enjoying the quotes so much that I wanted to share one with all of you.